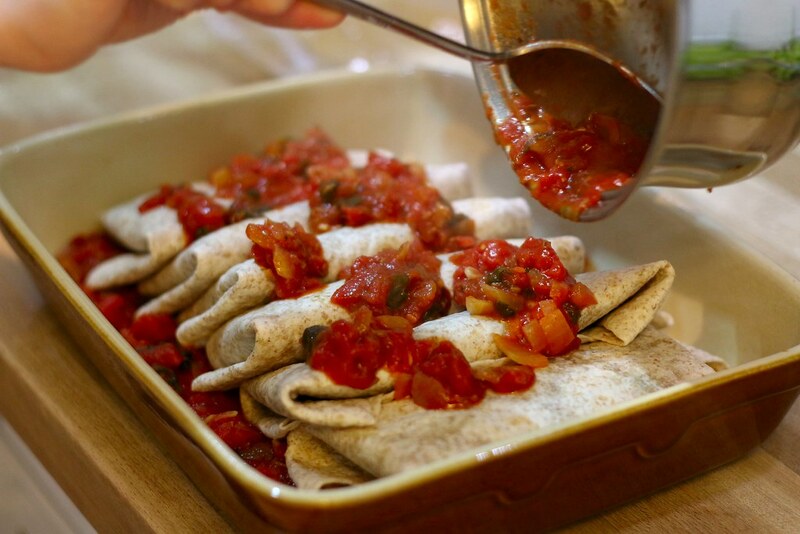 The arrival of both spinach and coriander couldn't have been better timed than for these yummy enchiladas. You can make them wheat/gluten free and vegan if you wish - the variation is up to you. The only variations I made were to use wheat tortillas and add some cheddar to my filling mix. Next time I would only use 4 tortillas and a smaller dish so each tortilla was really well-filled and the sauce not spread so thinly.